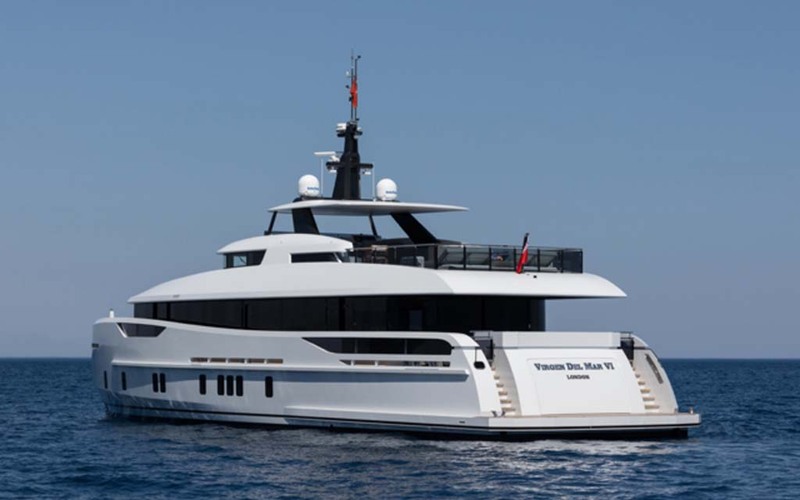 For their 10th superyacht to date, Alia has unveiled the Virgen del Mar VI, a 31-meter rig that has a truly impressive amount of interior space and an abundance of beautiful, bespoke details. The so-called “pocket yacht” was conceived as a one-off, but along the way the brand has recognized the appeal of what’s on offer, prompting them to develop a customizable series of models for buyers that can come in either 37- or 50-foot models. 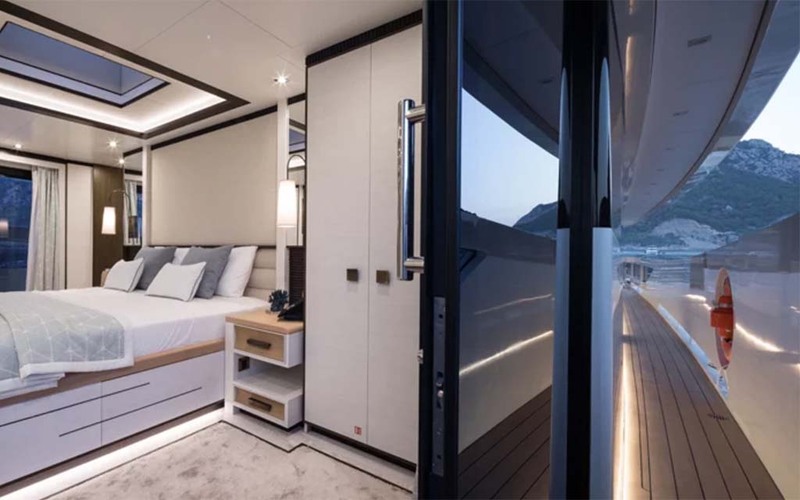 Between the five cabins, there is space enough for 10 passengers, the hosts presumably claiming the main-level state room, which has a private terrace. 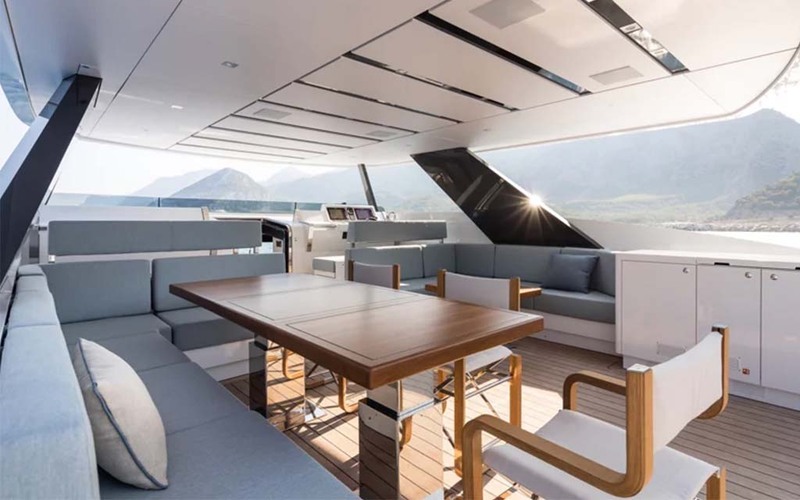 Of course there is plenty of outdoor private space elsewhere for guests to sunbathe or dine, and the indoor-outdoor space is connected by full-height wraparound windows. 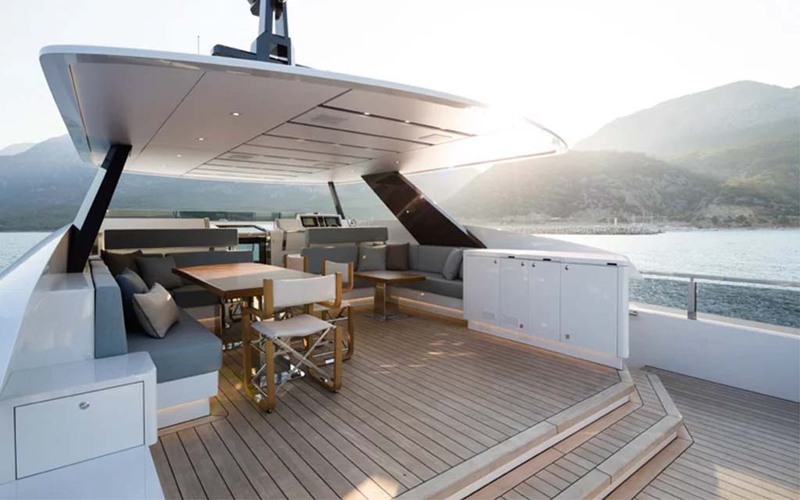 Interiors are by UK-based Redman Whiteley Dixon, and the superstructure was designed by Omega Architects.